You walk into a store, a good-looking salesman approaches you. His image is perfect, down to the very last detail. He’s wearing a perfectly pressed white shirt, his tie is hanging just right, he’s got impeccable hair. In the end, you like them, but as the morning has just begun, you still have a lot to see. You thank the salesman and you leave the store. A block later, you walk right in front of a giant billboard with the logo of the store you just got out of, and a 15×9 foot photo, that shows the steering wheel of a sports car being gripped by 2 hands, which coincidentally, are wearing the same exact gloves that you just tried on. You start to like them even more. They’re no longer just gloves, they’re what they say about the person who wears them. Admiring that classy black glistening wheel, you think “that car must be from a collection” as you walk on. You keep walking, turn the corner and your eyes widen, a screen showing a video, the same brand, the same gloves, but brown, are now sharing the limelight with a matching leather jacket. Is the model in the video looking at you? As you walk by the screen, the music gets softer and the model asks: “How about this color?” The interior is velvet. It would be weird right? The digital world is so strange and wonderful that you’ve got many more opportunities to reach your audience once the user left your site. You have an advantage, you know them, you know what they’re looking for and you can customize the ads they’ll see of your brand. It doesn’t matter if you have a large, medium or small business, a large marketing budget, medium or almost nil. This article will tell you everything you need to know about implementing and taking full advantage of this effective engine known as REMARKETING. 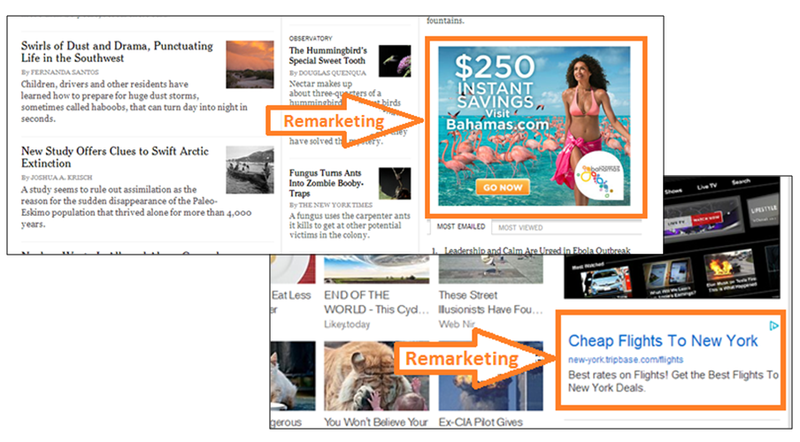 How does Remarketing work and why? 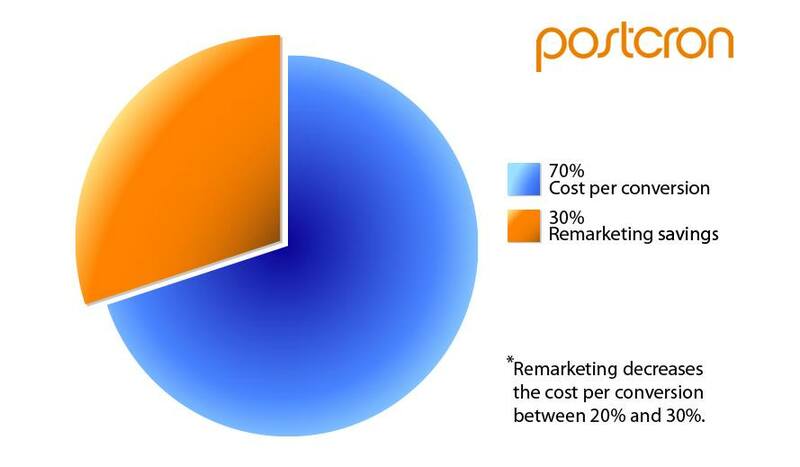 Remarketing, also known as Behavioral Retargeting (behavior-based segmentation) is a very powerful tool that is used to focus efforts and resources on potential customers who have already shown though their previous behavior, some kind of interest in our company or our products. It’s based on showing ads (through more than 2 million sites in the case of Google Display Network) with the intention of getting our users, who for some reason abandoned the registration process, subscription, or purchase, to come back to our site and finish the process. Whether, they’ve only checked out our landing page, investigated our products, or even created a shopping cart. If they haven’t completed it, they’ll be tempted by the actions of remarketing to resume the process and finalize it. In an ecoystem as diverse and heterogeneous as today’s digital world, it’s much easier, and actually cheaper to convince people to do something who are already interested in you, than convince others that don’t even know you exist. We trust more and have less fear of things we know or seem familiar to us: places, names, products, brands. Familiarity makes us feel safe, at home, with our family and friends. And, repeating our ad on different websites, users will feel closer to our brand, a brand they know and thus, making them feel safer with us. People seek to be consistent with what they’ve done or said in the past. For example, if someone inquires about Peru, they talk to friends about going there. They show others their passion about the culture and look for a place to go on vacation. They’ll probably end up buying a trip to Peru, motivated by the need to show people they are consistent with their past, present and future actions. (I recommend reading this articule that will help you deepen your knowledge and apply this and other techniques of persuasion). The user has already invested effort in finding out about our company or our products, because they have an intention, a desire, and a necessity. As they start to research our product, there’s high probability that they’ve assessed other options, they’ve discussed with friends, they’ve read comments from other people who’ve already bought or used the product (The process is not as straightforward as those on the other side of the market would like it to be). But, it’s also very likely that they get distracted in the process or forget some of the options they had considered, and that’s when the remarketing plays a key role in helping the user choose the option and complete the process. And finally, knowledge of the potential client. Based on their behavior, we know what products they need, what they prefer, what color, size, etc. Something that’s totally contrary to the Secret Santa game where you’re supposed to get a co-worker who you thought you knew, a cool gift, but you end up giving them a mug. In remarketing, we play the game with an advantage, we know what exactly the person we’re addressing is looking for and we can customize the message with surgical precision in order to maximize our chances of success. To recapture some of the lost traffic of those who have abandoned the purchase process, with the intention of getting them to resume and finish the operation. This is the main objective, thus all of the following are more or less related to it. 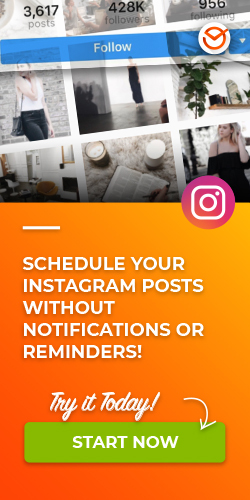 You can also make the user aware of products that they don’t know about, either because they didn’t have time, because they didn’t reach them, or because they’re new products you’ve recently added to your page. Thanks to remarketing you can strengthen your image and brand positioning, making it known, notable, and reliable. All this translates into an increase in ROI (Return on Investment). Thanks to the flexibility of investments in remarketing, they can be adapted to the budget of large, medium and even small businesses. Printing costs can be very low, and less than $100 to get our ads reproduced thousands of times, but it can also be quite high, and be even higher than selling price of the product we’re offering. Be careful with this part! Lots of printing and clicks doesn’t mean that we’ve succeeded; what we have to measure are the conversion rates, which are the actions that are made by visitors, like entering a certain section, making purchases, subscribing to a mailing list, requesting a quote, or filling out a form. Adroll ensures that for every $1 invested in remarketing, you’ll get $10 of profit and in some cases it can even reach a return of 12 times the amount invested. As we now know, remarketing is about concentrating our resources and focusing directly on those prospective clients who have already shown interest in our products. This concentration generates a much higher conversion rate that’s similar to the amount of clicks, so the cost per conversion is between 20% and 30% lower (data obtained from PPC Hero) than in other actions such as sponsored searches. Saturation: It’s relatively easy to overdo the number of times users will be exposed to your ads, which can end up being counterproductive for sales and for the image of the brand in general, because basically, it increases the sense of threat to privacy. 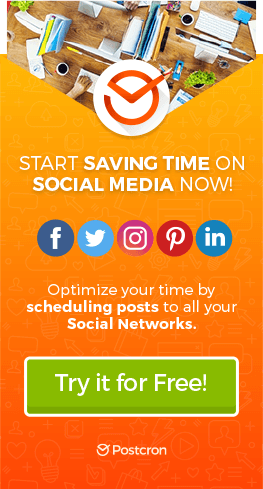 It’s recommended that the ad is seen between 5 and 7 times per user per day. Anyway, the way that some products work very well, other don’t, so it’s necessary to try different exposure frequencies and compare them all to see which ways perform best. Threat to privacy: While most users are not affected, and most realize that we’re being tracked in each cursor movement we make, some people may feel invaded and stalked, especially when higher saturation is applied. It doesn’t work to attract customers: Ads are shown only to users who have entered our site once before. Try it: visit one of these sites and see how they start to follow you! If you visit any of these sites (try Adroll and Perfect Audience) when you return to Facebook, pay attention to the banners on the right 🙂 Facebook has just recently joined this alternative and lets “pixels” to be installed on our site then follow our while visitors check their Facebook. Other vendors are Retargeting Base, Triggit and Criteo. Among them, they distribute an ocean of pages that share lots of spaces and offer similar opportunities on millions of pages, while always maintaining the biggest traffic hubs, such as Facebook, Twitter and at a lower level, Yahoo. 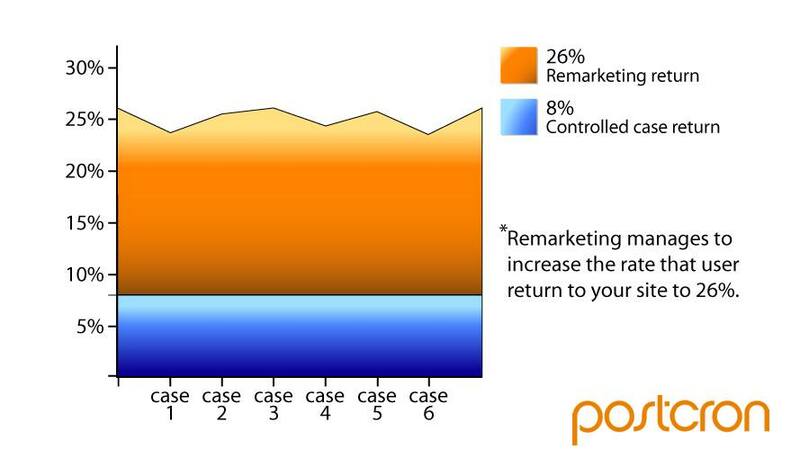 What elements need to be considered for your remarketing campaigns to be extremely effective? As we saw in the story at the beginning of the article, remarketing in digital media is not something that is perceived as invasive, that’s why we’ve got a new opportunity. Once the user has left our website, we can convince them to make the purchase, or show them new products that best suits their needs; or tempt them with discounts and promotions. Show relevant ads, targeted to each specific user group. Don’t show generic ads. Generic ads don’t have high conversions and visitors are easily distracted from them. Use ads with clear Call To Actions, that are direct and share a strong sense of urgency. Send the correct URL to all those that see your ad. Customers want to find what interests them and what they were looking for quickly. They’ll get disoriented and be disappointed easily if when they click on something, they’re taken to a site different from what they expected. Create retargeting campaigns with multiple stages (Multistage Retargeting Campaigns), 7 days one type of ad, 7 days a promotion, 3 days saying that time is running out, etc. During the last days, remind them of the urgency, stress that time is running out, and that the offer won’t be available much longer, it’s now or never. Rounding up: lots more conversions, with only a little more investment. In conclusion, remarketing is a very powerful tool integrated within a well-planned marketing strategy that can generate extremely effective results. The key to their effectiveness lies in the fact that the client has already shown interest in purchasing. As it has some flexibility in the amount of investment, it’s not only available for large corporations, but it can even be used by medium-sized and small companies, with fairly bounded budgets in marketing and advertising (with cost per click ranging from 1 cent). On the other hand, as it is aimed at people who are already interested in our products, this gives us higher conversion rates, which means greater effectiveness of the resources invested. In other words, a higher ROI or return on investment.